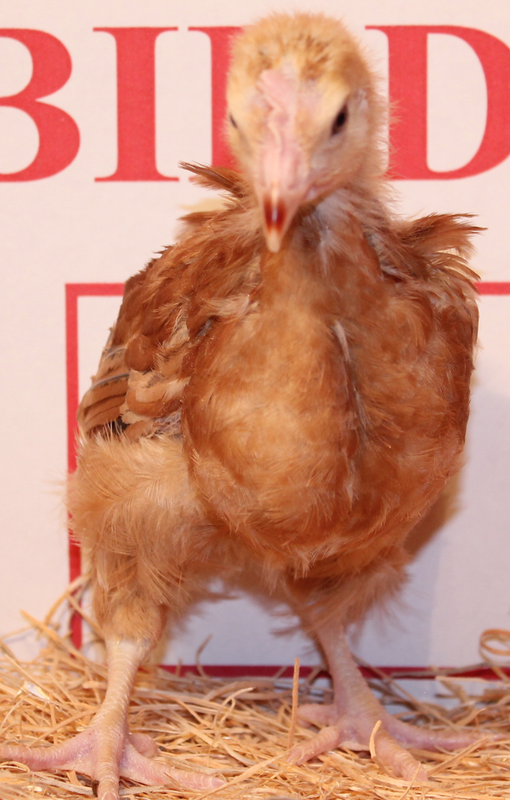 This breed originated in the state of New Hampshire at the hands of poultry farmers who started with R.I. Reds and by means of generation after generation of selective breeding intensified the characteristics of early maturity, rapid full feathering, and production of large brown eggs. We used to improve our flocks with males from a New Hampshire breeder who described his birds as being especially endowed with "spizzerinktum"; and they were unusually handsome and vigorous. 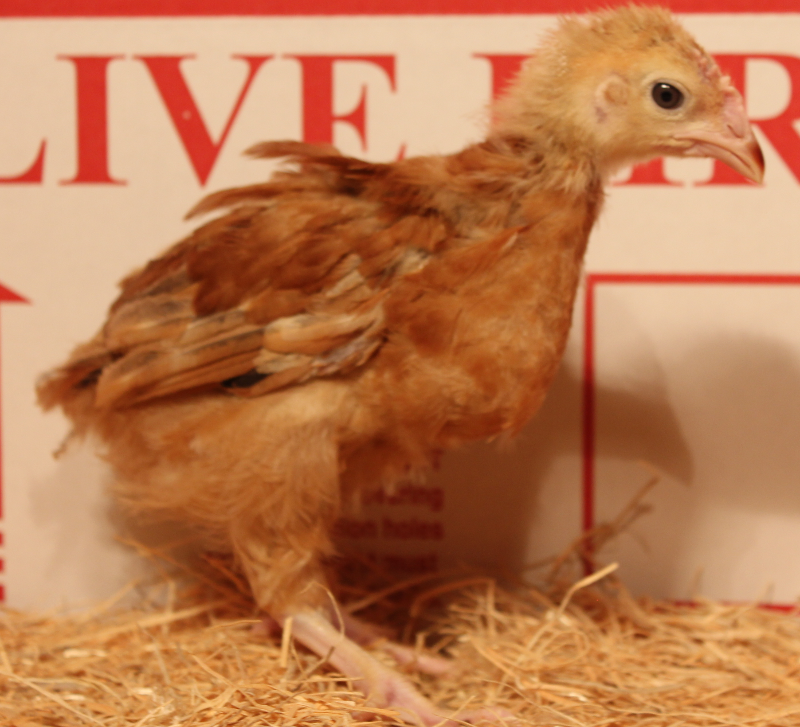 The mature birds are a rich chestnut red, of a somewhat lighter and more even shade than the R.I. Reds and the baby chicks are also a lighter red.